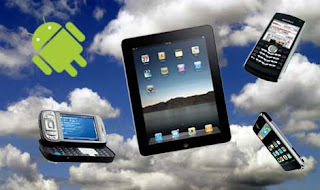 It’s no surprise that many cloud experts predict that mobile cloud computing will become increasingly important in 2012. Given the numbers of smartphones, tablets and other mobile devices shipped every day, more and more users are relying on the cloud as the main driver for satisfying their computing needs, whether it is data storage, applications or infrastructure. These factors contribute heavily to the increasing mobile cloud emphasis. It is however not due only to increasing availability of smartphones and tablets, but also standards and cloud services that support remote data access, storage and apps. Cloud computing is gaining ground in commercial and government circles; only last month, the Cabinet Office had to extend the deadline for suppliers to join the government's G-Cloud framework because of high demand. Organisations moving to the cloud – where IT services are delivered remotely using an internet connection – are doing so because the shared infrastructure is cheaper and more flexible than conventional forms of technology. There has been much talk about the cloud and about how it can help businesses and how cloud computing is one of the top technologies of the future. Although, at this point it is probably more appropriate to say cloud computing is the present and the future. But starting with the name, cloud computing, and also looking at the vast majority of articles written about the cloud, one may think that it is an incorporeal thing, floating out there somewhere and providing services. The truth is, cloud computing as it is today has been made possible by technological advances in the data center industry. Yes, data center, a term slightly less glamorous than cloud computing, that lays at the foundation of cloud computing. Cloud computing skills are now in great demand — but not just among information technology professionals. A new analysis of national help-wanted ads finds cloud computing is now entering the job descriptions of a range of non-IT positions, including marketing managers, sales managers, customer service representatives, and even cargo and freight agents. The cloud computing benefit most often cited is IT’s reduced cost of ownership, because a company can convert fixed IT costs into variable spend for 60-80% of the budget that is used to “keep the lights on.” The total cost of IT as a percent of revenue is reduced, and that savings can be re-invested to grow the business. While the IT savings is compelling, the strongest benefit of cloud computing is how it enhances business agility – especially how the cloud can help launch entirely new businesses with little to no up-front capital.